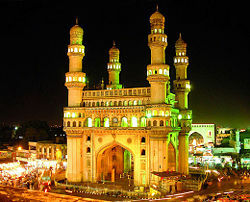 Hyderabad is the wonderful known capital of Andhra Pradesh, India. This one of the largest urban city of India is famous for many things. The area of Hyderabad is 650 square kilometres. It has turned as the highest rising city of India and its sixth-most populous urban agglomeration makes it different then other cities of India. There is one more name of the city such Pearls palace of India or City of Pearls. The founder of the Hyderabad was Muhammad Quli Qutb Shah established the city in 1591 AD. The major concern of establishing the city at this corner was the banks of river Musi located in the Deccan region. The unique society and culture with different language, lifestyle, and structural design gave the diverse place in the nation. 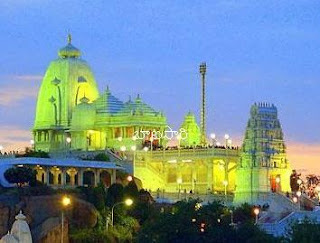 Because of Hyderabad its nearest city Secunderabad is also turned as the favourite spot for accommodation and tourism. This twin city has become the first choice for tourist and many other things. Birla TempleThis city was a global center of the pearls and diamond trade though today it is also the finest global center for the Information Technology industry. The other trades such as bio pharmaceutical industry and the real estate grown with higher rates. The pace of development of the Hyderabad attracts people from different cities to shift to Hyderabad or Secunderabad. It is moreover a birth place of the Telugu Film Industry which is also known as Tollywood.The historical sites visit of Hyderabad can be dissimilar experience of a person. The UNESCO pacific site Chowmahalla Palace is most visiting spot of this city. There are many other tourist hotspots carrying lots of appealing things to discover about the culture of the Nizam’s and early rulers of the city. The British Rule: It was one of the richest states of India in earlier period and the senior most salute region throughout the era of British India. At that time Hyderabad State was extended to 223,000 km more which was equal-ant size of The Great Britain.Slowly the city was established with many institutions, schools, colleges, madarsa’s, a university of Urdu, etc. As the city came under Indian Civil Service they established the Hyderabad Civil Service Department. This was the first step towards advanced development of the city. This sector built huge reservoirs such as Tungabhadra, Himayat Sagar, and Osman Sagar. Falaknuma Palace: This was the palace of Asaf Jahi Nizam who ruled as the last Nizam of Hyderabad. Those travellers who desire to take pleasure of the royal living of earlier Nizam can visit this palace as it is turned as the big hotel of the city. Staying there could be different experience for a person. This Palace is 5 km away from Charminar and best time to visit is between October to March. The Jade collection of the palace is amazing and gives diverse feeling. The Italian architecture of this palace was completed in 9 years. The complete Italian marble with total area of 939712 square metres is wonderful. The collection of Nizam paintings, statues, manuscripts, furniture and books is good to view in the palace. Golkunda fort: The fort is accessible with all earlier memories of rulers came to India. This is the best spot to visit in Hyderabad as it is having historical connection with the city. Salar Jung Museum: It is one of the world-famous and best Museums among all. People from diverse nations come to Hyderabad to watch the amazing architecture done in earlier age. The Italian marble structures gifted to the Nizams are gathered in this museum. The great collections are basically the mirror of human environment of earlier time. It helps the visitors to learn about the culture of 2nd century to 20th century. Visitors can enjoy the events in June every year so they can plan the trip accordingly. One of the man’s largest made musical watches of 19th century is also the best thing to watch. This watch is continuously in function, though there is no battery system. People from local and outside visit this museum to watch such great man creation. 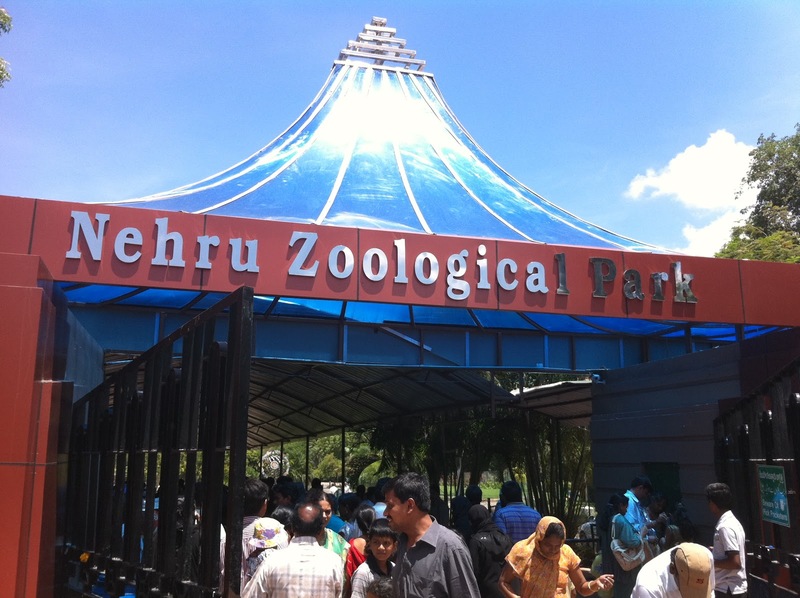 Nehru Zoological Park: The zoo of Hyderabad is also famous for providing the good collection of wild animals. Visitors can enjoy watching different animals and tourist can also have the safari drive in the zoo to watch animals moving freely. The toy train in the zoo helps the visitors to cover the complete zoo in less time. People can have the alternate choice by getting the inside the zoo, though certain charges must be paid at entrance. Snow World: People who love to enjoy the snow in summer season should visit the Snow World. This place is charged on hourly basis and people can enjoy the artificial snow with similar environment. This could be another best place to visit in Hyderabad. NTR Garden: This garden is spread with larger area and people can enjoy the gardens and water sports with great features. The peace and greenery of the park is able to provide calm and peace to mind. This park is added to many websites for favourite sightseeing spot of Hyderabad. Charminar: The ancient constructed four pillar tomb is world-known and people come to this place from different nations frequently. The monument is properly maintained under government supervision. The market known as Chudi Bazaar is first choice for females who love to buy the bangles or ornaments. Shilparamam: This is the spot containing art and craft galleries. The construction is done according to villages of the city of ancient time. The crafts, shows and art collection are best features of this place. Birla Temple: The white marble Birla temple is also another spot to visit. This holy place is created on the hill and it can be sighted from the city corners in the night as well. The lighting in the night gives different appearance to the temple. Chowmahalla Palace: the magnificent Chowmahalla Palace is another spot that tourist must visit. This palace is partially opened as it is turned as the party spot as well as hotel with excellent services. It was the official guest house at the time of Nizams ruling. Lots of big parties and music functions are conducted at this palace every year. People can avail the details through websites about the various programs. It is also available for the parties so booking can be done through online as well as brochures available at palace.The other spots that people can visit are Jal Vihar, KBR park, Ocean Park, Birla Planetarium, Chilkur Balaji Temple, Durgam Cheruvu, Mount Opera, Hussain Sagar Lake, Necklace Road, Public Gardens, Mecca Masjid, Purani Havelli, Hitech City and many other spots.The temperature of Hyderabad is moderate so reaching this famous city in any season is not a big trouble. People can enjoy the night life as well as the day time at this city and can make the moment memorable. By Air: Hyderabad airport situated at Smshabad is properly connected with flights from Bangalore, Kolkata, Mumbai, Delhi, Bhubaneswar, Chennai, Nagpur, Vishakhapatnam and some more major cities of India. The international flights are also available to Hyderabad. By Train: Hyderabad is the major city and having broad gage lines connected from different parts of the state. The extensive railway network linked with almost every major city such as Delhi, Bangalore, Mumbai, Kolkata, Bhubaneswar, and other major cities helps people to reach Hyderabad with no worries. By Road: The excellent roads of Andhra Pradesh and the finest bus services allow the travellers to reach easily through road.